When she was young Dolly fell into a ditch and was stuck for three days before being rescued. During her ordeal she sustained injuries requiring urgent veterinary care, but her owner was unable to pay for treatment. 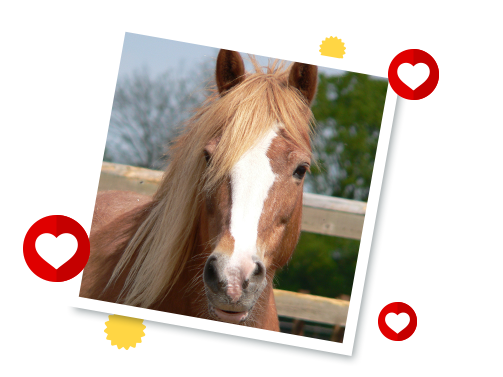 The vet approached Redwings Ada Cole for help and thanks to the charity’s intervention, Dolly received the treatment she needed and a secure home for the rest of her life. Dolly lives at Redwings Ada Cole, near Harlow, in Essex. Cheeky Del Boy the donkey has big ears and an even bigger personality!